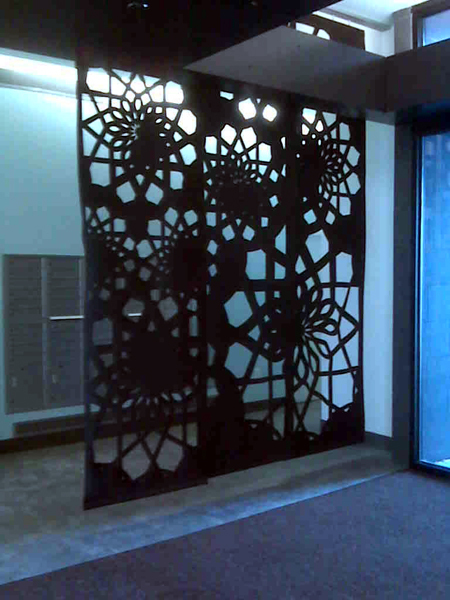 Laser Cutting Shapes provides custom felt laser cutting services for use in numerous interior applications ranging from wall dividers to decorative coverings and hanging panels. Coasters, pillow cases, rugs and more! 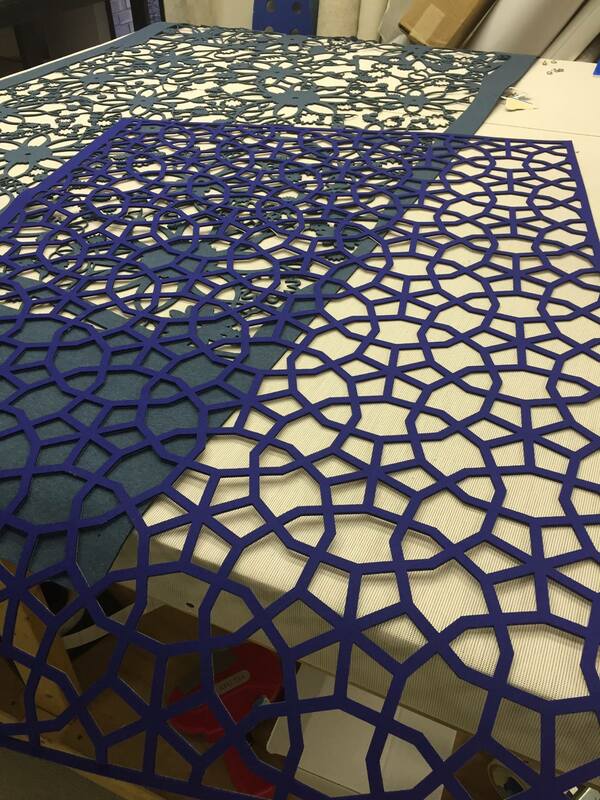 Laser cutting Felt services from Laser Cutting Shapes is popular with designers and architectural firms who have found the durability and flexibility of the felt to be ideal for their wide-ranging interior design needs. We proudly provide full-service solutions, from design consultation to cutting to fabrication and assembly. What is important to know that laser cutting WOOL felt may bring an issue of the charred edges, edge discoloration + unpleasant smell that stays for several weeks before it’s gone. Non-wool felt especially acrylic cuts rather well and clean. 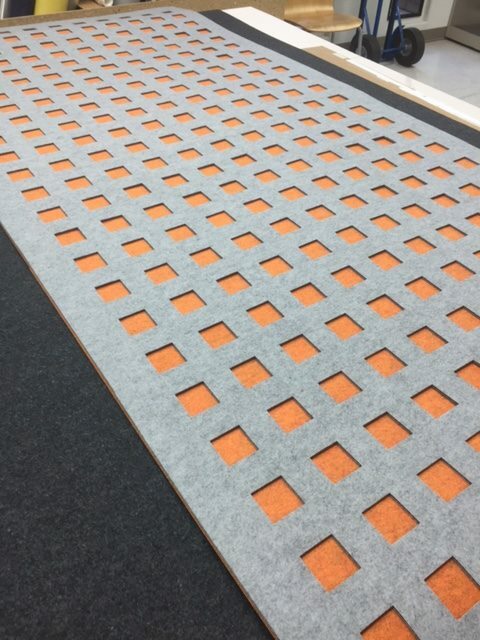 Felt is a durable and versatile fabric, making it useful for countless laser cutting applications. Felt is a non-woven fabric material, which means it doesn’t unravel. This makes it an ideal material for intricately detailed designs. Felt works great as a soundproofing material due to its optimum density and spring. The absorption of sound waves is achieved by the vibration of individual fibers within the felt. The strong, flexible nature of felt makes it ideal for enhancing interior spaces without breaking the bank. How is laser cut felt used? There are countless applications of laser cut felt. Laser Felt Eco could be used as dividers, wall covering, noise reduction panels. Laser Felt Eco is also used for freestanding dividers and partitions. 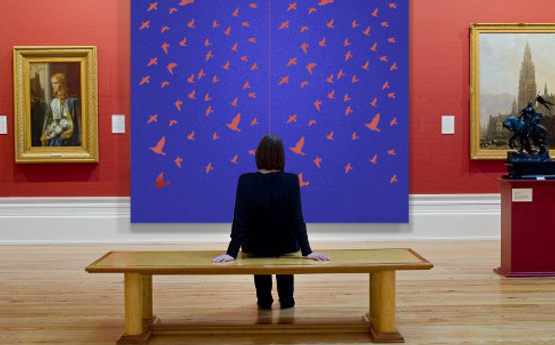 Laser cut felt can be used as a hanging panel system or drapery. It provides privacy, noise reduction, divides space, controls solar glare and looks great. When used with our Laser Track system these panels can be moved as needed to divide an area and add flexibility to offices public spaces and classrooms. Laser Felt Eco is also art. Laser Felt Eco is available in multiple patterns and sizes that can be hung from our Laser Track system, and in some cases existing curtain hardware or it can be applied directly as wall art. Laser Felt Eco is also used for table runners,coasters, office organizers, pillow cases, rugs, etc. The sky’s the limit! What design limitations exist with laser cut felt? Laser cut felt provides designers with endless possibilities for functional and artistic creativity. Any vector file can be used to create a stunning work of art that is unique to your project. 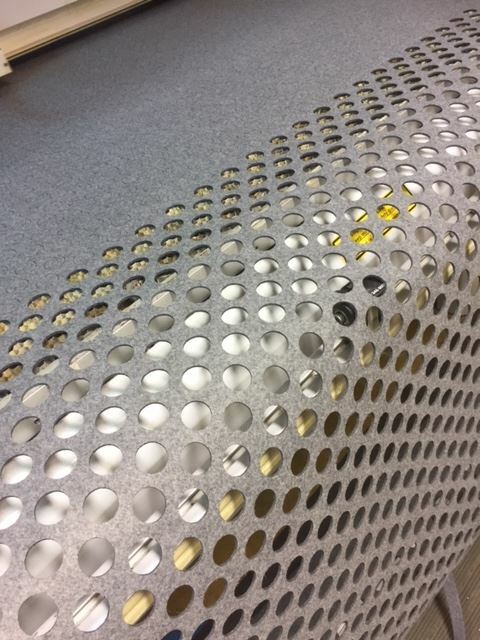 Our laser cutters use a vector line file to cut almost any shape, no matter how complex. Do you make custom size felt panels and patterns? Yes, in addition to felt panels and dividers available in standard sizes, we are able to make any custom size panels. We can perform any custom designs. We will guide you to avoid any errors in your files to guarantee perfect laser cutting. Is laser cut felt environmentally friendly? We are excited to introduce a new Laser Felt Eco product that is the cleanest, greenest, most versatile decorative textile available. Laser Felt Eco is made from 100% post-consumer recycled water bottles. How does felt help with noise reduction? Laser Felt Eco has a noise reduction coefficient (NRC) of .20. This means that 20% of the noise in a room utilizing Laser Felt Eco will be absorbed and the space will be quieter and more comfortable for the people in it. These properties change depending upon the number of laser cuts in each piece. Results will vary, but in general, felt is very effective for soundproofing your space. What types of felt are available? What are the differences? Felt comes synthetic or wool. Felt could be 100% wool or less. Each type of felt has its pros and cons. Laser cutting felt with high content of wool will create a darker edge. Also, when wool felt is laser cut it releases unpleasant smell of burnt hair. Thicker wool felt has darker edge and unpleasant smell takes longer to air out. Contrary to this, thin wool felt has less visible dark edge, and smell disappears within a day. Synthetic felt has a list of pros compared to wool. It is less expensive. 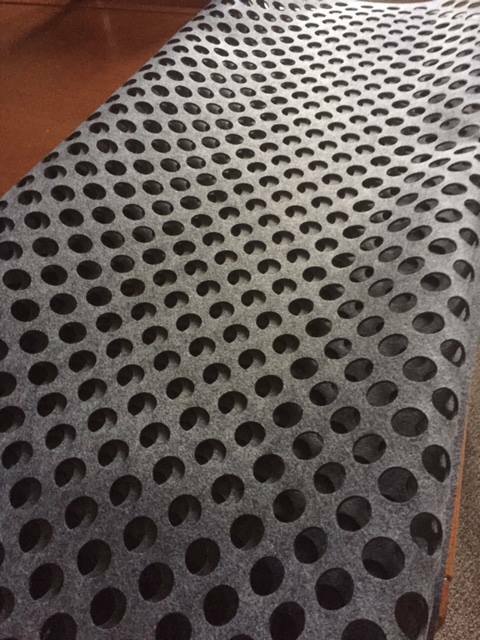 It is easier to laser cut synthetic felt because it does not change the edge color and does not have specific smell attributed to laser cut wool. Lately we work with suppliers that manufacture felt from recycled plastics. In addition these felts have antimicrobial quality.